One of the most important things you can do for yourself, whether you're newly diagnosed or have been struggling with the diagnosis for awhile and trying to go it alone, is to find help and support from others outside your medical caregivers. One thought, especially if you live in more of a rural community without a lot of HIV support organizations is the church or spiritual groups. Faith and spirituality is very personal. Some find comfort in their faith, organized religion and spirituality during times of crisis, change and indecision – especially if family or friends aren’t near. Most faith-based organization leaders are trained counselors that can help you deal with life changes – like an HIV positive diagnosis. 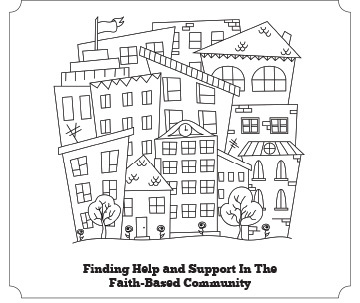 If you have a close by or local ASO, that's always a good place to start for assistance in finding an accepting place of faith close to you, but if not, the following is a short directory that you also might find helpful. Note: As noted with the Los Angeles Catholic Archdiocese, the Archdiocese and Catholic Charities in many cities in the U.S. have HIV counseling and ministries so they are too numerous to list here. Please contact your local Archdiocese or Catholic Charities office for assistance.